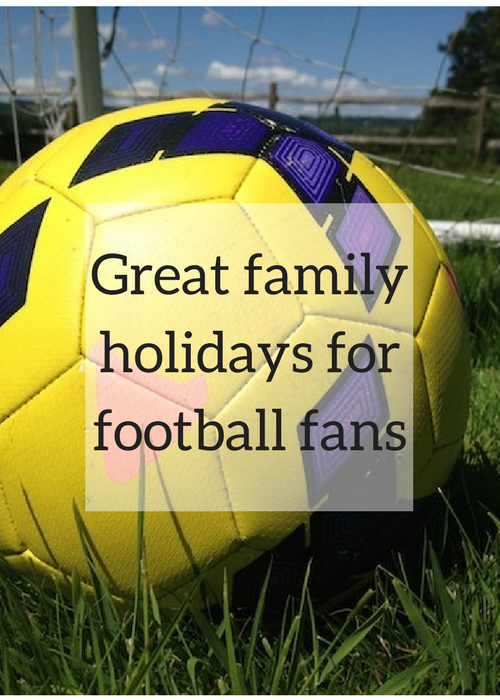 If you have football fan in the family (I have two) they may be keen to either play or watch football when you’re on your travels, or even to have some expert coaching. There are many hotels and resorts around the world offering football-themed breaks. Some places have incorporated football into their very design while others offer skills coaching for kids. Some of the coaching is free, some of it’s not and it’s a good idea to book before you go. Here are some of the best football-themed destinations – and if you’re going to be playing, remember to take your boots and kit! The luxurious La Manga Club resort in southern Spain has a football academy which is open to children between the ages of three and eighteen years old. The football centre at the club has first class facilities, including eight grass pitches. It has served as a training base for teams such as the English and Spanish national teams as well as Chelsea, Barcelona and Real Madrid. There’s also a fantastic gym and indoor fitness pool at the resort. I stayed at La Manga Club for two weeks on a family summer holiday, and my son and his friend were delighted to spot some professional Spanish players who were staying there at the same time as us – check out my full review in my post What’s it like to stay at La Manga Club. 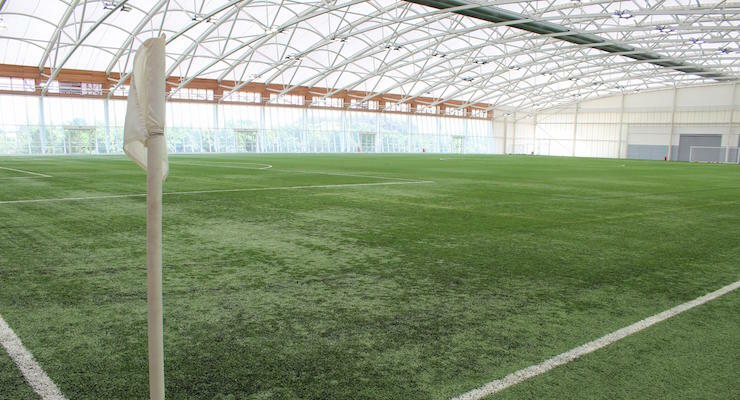 St. George’s Park in Staffordshire is the England Football Association’s National Football Centre, and it’s where the national teams train. When they’re here, the teams stay at the Hilton hotel on site, where you can also stay as a paying guest. We spent an enjoyable weekend there – our room was called the Kevin Keegan Suite. A highlight of our stay was a behind-the-scenes tour of the St. George’s park training facilities and pitches. You can read all about it here: Hilton at St. George’s Park review. The German national team trained at the beautiful Verdura resort before the 2010 World Cup. The luxury resort is on the Sicilian coast and is owned by Rocco Forte. Children aged five to sixteen years can take part in the Juventus FC Training Camp on the resort’s full-size football pitch. My son really enjoyed the coaching when we stayed at the resort for a couple of days when we visited Sicily on a family summer holiday – you can read my review here. Both of my kids say that Verdura is their favourite place that they’ve ever stayed, and my husband and I loved it there too. Sardinia’s luxurious Forte Village resort is home to a Chelsea Football Club Soccer School. Children staying at the resort aged between four and fourteen years old can apply for a place at the soccer school during the summer season. There are specific courses at different times for goalkeepers, strikers, defenders and playmakers. 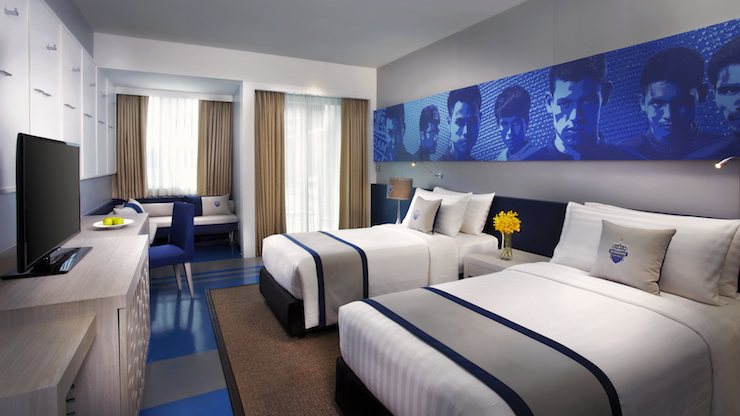 The Amari Buriram United claims to be the only football-themed hotel in Thailand. The hotel is in north east Thailand, right next to the home stadium of the local football team, Buriram United. The building is modelled on a sports stadium and most rooms look onto a central area with a mini football field and a swimming pool. Hotel Football has its own five-a-side pitch on the roof. It’s right next to Manchester’s Old Trafford Stadium and is co-owned by ex-Manchester United footballers Ryan Giggs and Gary Neville. Apparently the plan is to open further Hotel Footballs (or should that be Hotels Football??) in other cities. I think that my son would definitely be keen to stay in an Arsenal one. Kids staying at a First Choice Holiday Village can improve their football skills at the International Football Academy. The coaches are FA or UEFA qualified and run two, three or four-day courses with sessions lasting for two hours. The sessions are open to kids of all abilities between the ages of five and sixteen years old. Butlins offers free football coaching for kids staying at their three resorts at weekends and during school holidays. The coaches are FA qualified and the sessions take place in a dedicated football area. My son loves football and I know that he’d love any of these places (although maybe not the one in Manchester as he supports a rival team), but they all look like they’re great destinations in their own right, even if you’re not a football fan. I’m not into football at all but I’ve been to an Arsenal football match with him and on tours of Wembley Stadium and the Amsterdam Arena and actually quite enjoyed it. Do you have any football-themed destinations to add to the list? I’d love to visit some of these but must admit that I have no interest in football, so maybe a visit that is not in footie season! 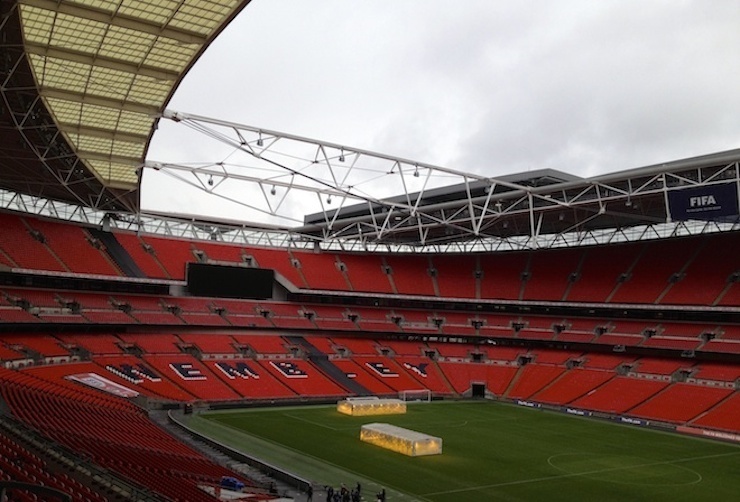 Love the sound of Hotel Football – what a crazy, cool place!! Football themed hotels sound amazing for football fans! Wow – did not know you could go on football themed breaks! My son and hubs would love that…me probably not so much! The boy is downstairs watching the latest game, and I’m up here working – I’m happy with that situation!!! We are off to Butlins today! Does this mean that the football sessions are going to be packed now. It could do! Best get there early. am not a fan (of football), but my husband would love all of these! I’m not into football myself but these looks great for football fans! Foz recently posted…Time to start thinking about nursery! I shall point my husband to these I am sure he will be interested. Nayna Kanabar (@SIMPLYF00D) recently posted…Strawberry Yogurt Pops. 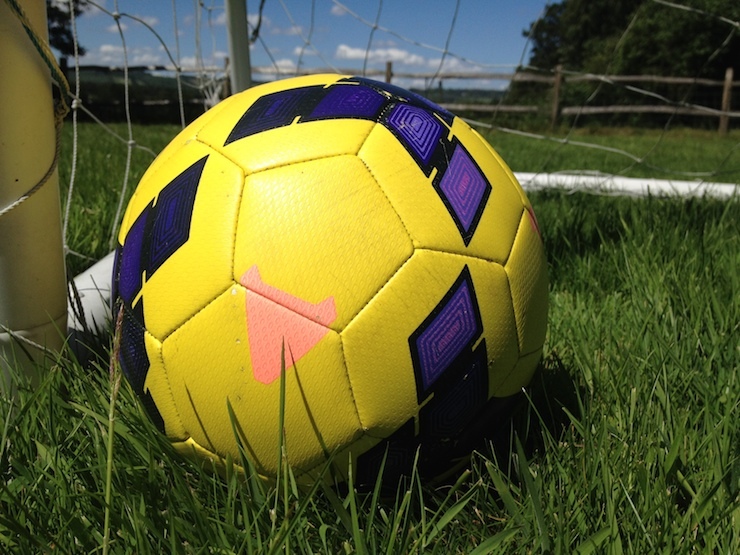 Thanks for that – the Hotel Football sounds like somewhere my football mad lot would enjoy! Cass@frugalfamily recently posted…Thrifty Thursday – 15 Ways to save money in the kitchen…. I didn’t know themed hotels for football existed. I’m not that heavily into the sport though. Wow, I didn’t realise there were such thing as football themed hotels. Great post for the World Cup! I’m most definitely not a football fan, but sure my husband would appreciate these!